Don’t Make Me Lead the Church? As I look into the annals of our church family, I stumbled upon this obvious, yet profound, theme. Pachomius (d. 348), after being discharged from the military, found his way to a life of solitude in the desert. He and his followers were committed to never holding church office. St. Anthony of the Desert (d. 356) committed himself to a life of solitude and prayer. He avoided church leadership issues, but his fame led to gossip about his doctrinal beliefs. His only involvement in local church life in the city ended up being him having to clear his name. 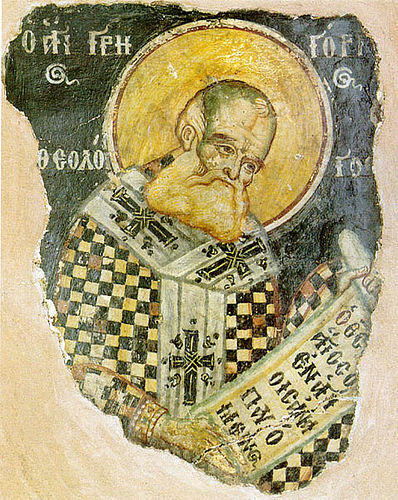 Athanasius (d. 373) was a church bishop, but chose to order his life by the rhythms of the monastery. Whenever he was in trouble in church politics, he would run to the desert for spiritual and relational peace. Basil the Great (d. 379) was ordained an elder against his will! Conflict drove him back to the monastic life. But then he was elected bishop, which was followed by direct conflict with the Roman Emperor. As a bishop, he championed (you guessed it) the monastic life of solitude! Basil’s friend Gregory of Nazianzus (d. 390) was forced to become a bishop by Basil. He didn’t want the job – he preferred a life of contemplation. Gregory was so sad being a pastor that he left his local church. But, he was such a great thinker that his influence became known in the high places of power in the Empire. He was then called by Theodosius to become bishop of Constantinople. He didn’t want that job, either…and, sure enough, as soon as he assumed that role other church leaders started hammering him on some policy and procedure issues. So, he resigned yet again, and went back to little Naziansus to be a song-writer at his original local church. Gregory of Nyssa (d. 394), Basil’s younger brother, was an introvert. He enjoyed anonymity and solitude. His big brother Basil forced him against his will to become a bishop (why do these guys keep doing that?). But major conflicts ensued, so he went into hiding. Emperor Theodosius found him, read his amazing theological writings, and obliged him to travel all over the empire teaching doctrine. Gregory always felt this was a huge distraction to what he really wanted – a life of solitude. Martin of Tours (d. 397) was also a military man. After he was released from the army, he, too, settled into the monastic life. When Tours needed a bishop, the people elected Martin to the post. But even though he took the position, he chose to live his life like a monk, not like a prestigious church leader. He eventually felt the need to move out of the city. Ambrose (d. 397) didn’t want to be a bishop, but one night the crowd in Milan demanded that he take the job! He tried hard to dissuade the people. He then tried to escape. Finally, the Emperor himself let it be known that Ambrose would be bishop, like it or not. 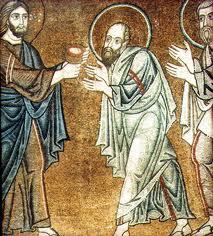 So, begrudgingly, he accepted the role – all this before he was even baptized! John Chrysostum (d. 407) was a lawyer-turned-monk who happened to be a great preacher. He was so good that people couldn’t accept the fact that he wanted to live in simple solitude. He was preaching in Antioch when he was kidnapped and taken to Constantinople, because the Emperor wanted him as the bishop there. As a monk committed to poverty, the glitz of the Roman capital turned his stomach…and he preached about it. More conflict! From there he was turned on by other bishops, banished from the city, and even exiled, where he died from failing health. Jerome (d. 420) was a monk, who then became a church leader. He did incredible work as a Bible translator and theologian. But his work in the church drove him to depression. He made a lot of theological enemies, and spent the last 10 years of this life lonely, in a lot of pain, and surrounded by controversy. Augustine (d. 430), from the time he became a Christian, wanted a life of solitude. He was on that path when he was ordained in the church of Hippo against his will. Obvious, isn’t it? Everyone craved solitude! The great leaders of the Imperial church all realized something: Following Jesus is the one thing to be desired above all else … and being a leader in the local church is huge distraction to that simple pursuit! And their experience was that church leadership worked against that desire, not for it. I’ve been a Christian now for 39 years. I went to Christian college and graduate school. I’ve been pastoring for over two decades. In my lifetime, I have never met another man or woman who shares this ancient conviction. “I would much rather live a life of solitude than be a leader in the church.” No, what I experience instead is an almost insatiable desire to be in the throes of church life, preferably as the senior leader of the church. I’ve also experienced in my ministry career that local church life is fraught with peril, especially for the pastors. When church conflict is at its peaks, rich community life and shared spirituality ebb. As it was in the beginning, is now and ever shall be. I wish I could have heard from you guys sooner.